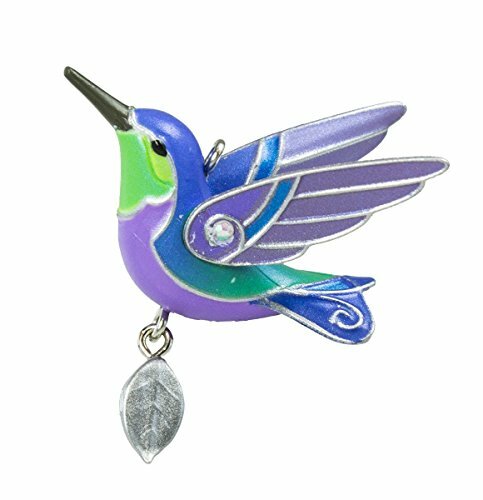 Hummingbird Christmas ornaments will grace the Christmas tree at my house this year. I’m not usually into themes, but anything hummingbird tempts me to change that. They are just so irresistible. With the holidays sneaking up, and me in a shopping frame of mind, I couldn’t resist adding a trio of hummingbird ornaments. I might add an additional trio, so they stand out amidst our other Christmas tree ornaments. I might even go crazy and do a whole tree with just Hummingbird ornaments, who knows? 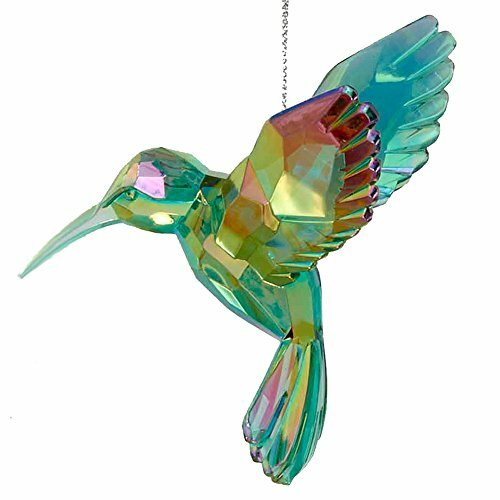 These particular hummingbird ornaments are crafted from acrylic. The birds have many different angles in their design. With their jewel toned colors and all those detailed angles, the light bounces off them just right. The light really reflects well when hung near the little twinkle lights from a Christmas Tree. 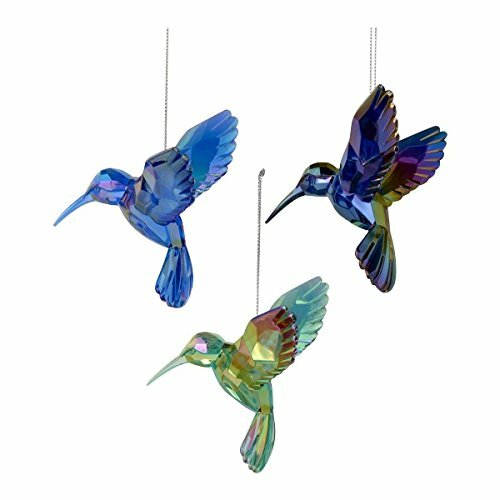 These hummingbird tree ornaments exemplify light and color. The trio are identical in design, but the color vary. One is an iridescent blue hue, another is a rich vibrant purple. The third, and my personal favorite is a shimmery, jewel toned green. 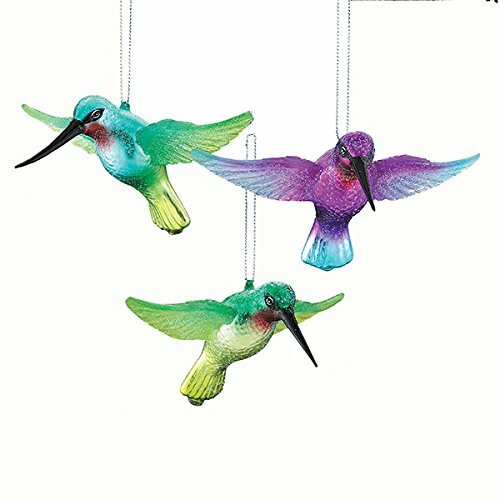 This makes them a totally irresistible choice for hummingbird ornaments. 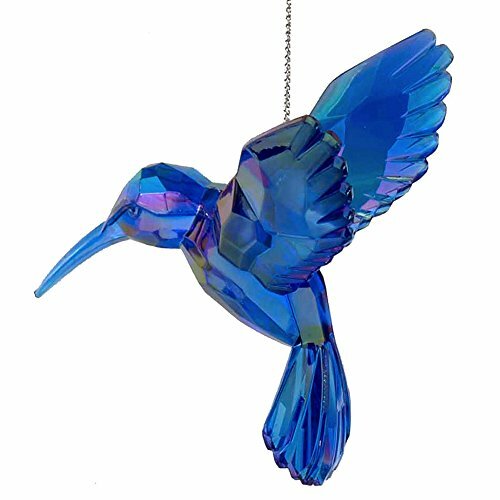 An advantage to an acrylic hummingbird ornament as opposed to other medias is they aren’t as fragile. If one slips off the tree, they are pretty safe from damage. 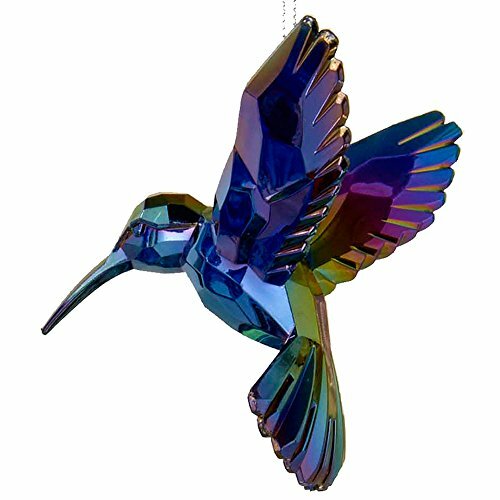 I’m pretty sure just about anyone would love to receive a hummingbird Christmas ornament as a gift. Especially if they love gardening. Or even like it a little bit. 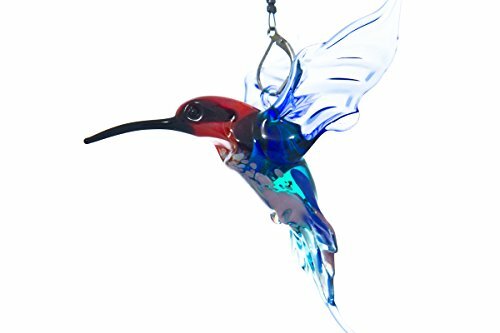 Hummingbirds are just that cool. 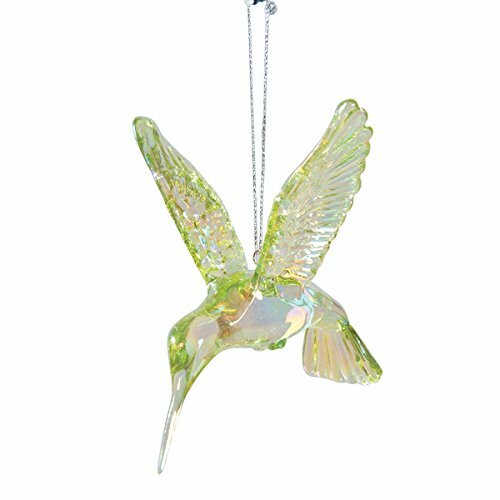 So a hummingbird Christmas tree ornament is a “can’t go wrong” gift idea for a gardener. Garden gifts for Christmas are always something I appreciate. 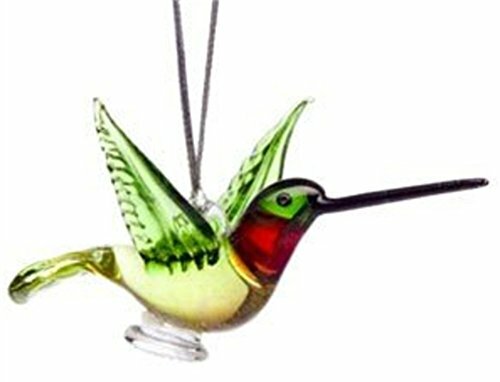 If you are shopping for your favorite gardener, chances are hummingbird Christmas ornaments will be treasured. This year and years to come. An evergreen Christmas gift. How cool is that? 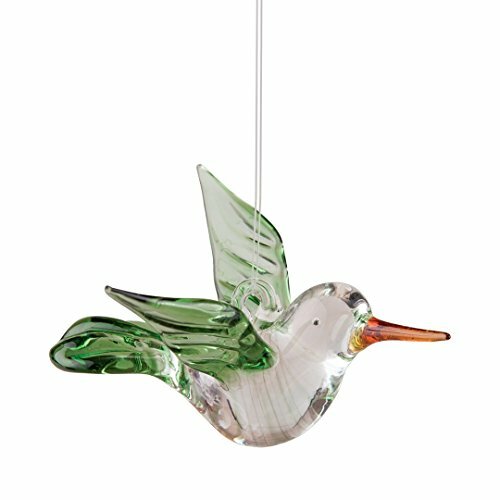 Glass Hummingbird Christmas Ornaments are a Gorgeous Choice Too! 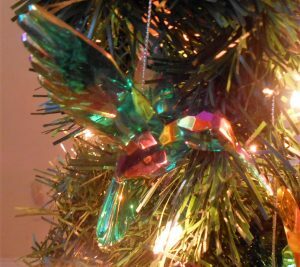 Because my hummingbird ornament has a crystal prism, the light factor on the tree is pretty remarkable as well. 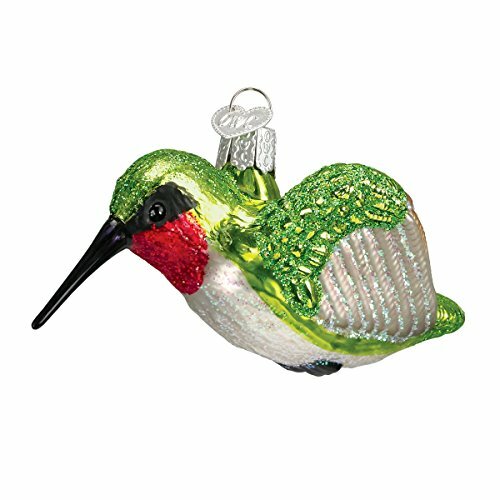 This ornament is a bit fragile, so take care wherever you choose to place this hummingbird ornament. 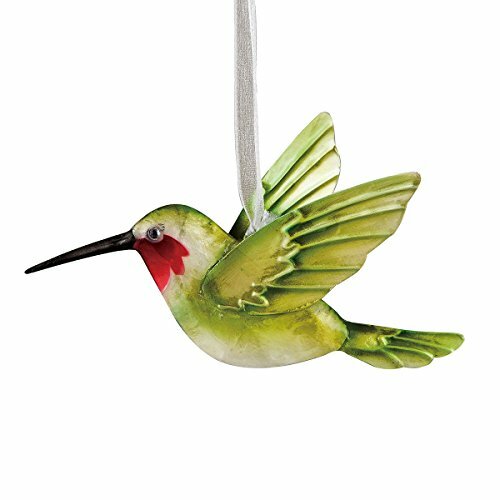 I don’t limit my hummingbird ornaments to Christmas decor. I use them in my sunniest windows and outdoors in my garden as well. They are year round hummingbird yard art. 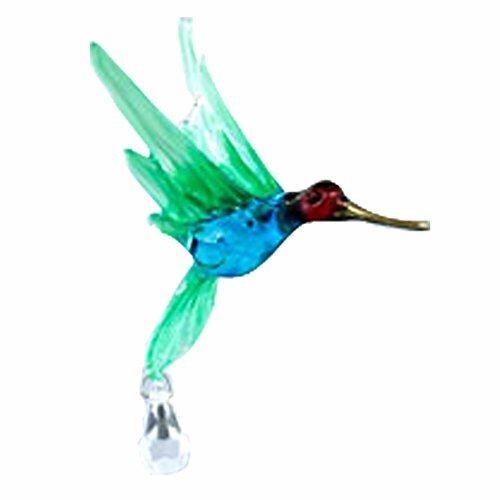 Colored Glass, glass hummingbird ornaments, hummingbird Christmas Ornaments, hummingbird ornaments, Hummingbird yard art.